Now in his 80’s, Robin is still producing ceramics out of sheer pleasure and is making some of his finest pieces. The family are now directly promoting his work for sale, eliminating any inflation in cost as we offer to securely deliver Robin’s products to you at the appraisal of the artist himself. Our primary principle is to provide prompt deliveries and reliable contact in the hope that we will help these exclusive artworks reach their new home. Looking in retrospect over Robin’s career, the real marker of his capacity for achievement can been found right from the offset of his career as a potter. At 15-years-old, situated as a student at Penzance School of Art, his breakfast set was selected for presenatation to Prince Charles in celebration of the school’s 100th anniversary. 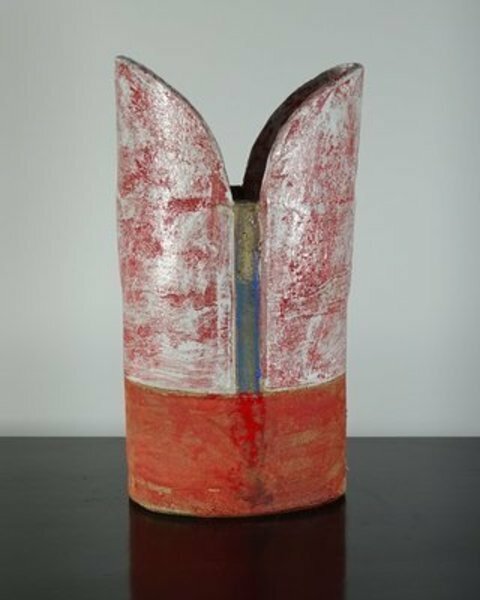 Signalling a bright future in the art and particularly ceramic world. Overtime, this potential established a reputation, teaching, lecturing and producting art from all over the world. His dedication mirrors not only the extent of his output, after all, being a former paratrooper might inspire such persistance, but the experience that inspires every artwork he produces. Travelling from the USA, Australia, New Zealand, to Germany and utlimately, England, where he was born and his home studio is located. See Robin’s summative history, achievements and videos below.